Submitted by peter on 1 May, 2014 - 19:48. A 19-year-old lad gets drunk, and early in the moring decides to take a bus for a drunken joy ride in Bangkok. He crashes into approximately 10 vheicles thereby attracting the rage of an angry mob. When he attempts to leave the bus he is beaten, kicked and stabbed to death by the mob. Submitted by peter on 23 March, 2014 - 14:55. 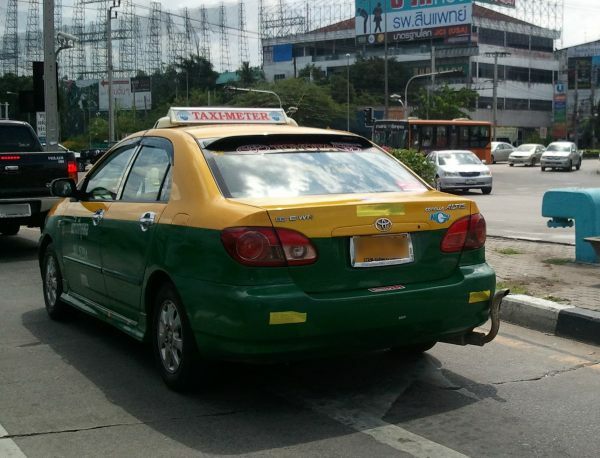 The Toyota Corolla Altis is Bangkok’s taxi. Over the years I have spent countless hours as a passenger in the Altis, but not a lot of time behind the wheel of the most popular C Segment car in Bangkok. In fact, it has been 6-years since I drove the 2008 Altis. Last month I finally got behind the wheel of the “All-new” 2014 model and I’d like to share my opinions but before that I’ll cut to the chase and state it up front: The 2014 Altis is a great car! But... it isn’t perfect. Drunk Teen Kills 4 in Crash.... gets off easy because he suffers from affluenza! Submitted by peter on 17 December, 2013 - 20:01. All too often in Thailand, rich young people seem to find ways to walk away from justice following horrific road "accidents". But is this limited to the rich in Thailand? Submitted by peter on 23 July, 2013 - 13:09. Reports of yet more tragic road deaths in Thailand indicate that at least 19 people have died and 22 others were injured in a collision between a 18-wheel truck and a Bangkok-Roi Et bus. Submitted by peter on 18 June, 2013 - 20:29. Towards the end of 2008 I test drove the Proton Persona (CNG Version). 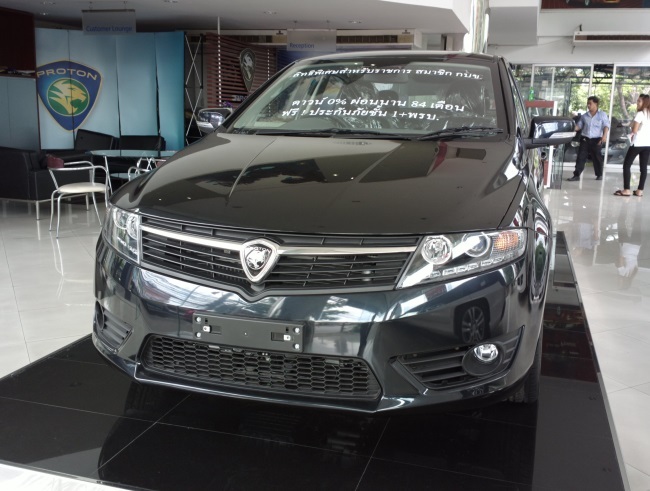 At the time, I had hoped that the Proton would provide a real alternative in the Thai market, and unfortunately despite looking good on paper, and despite offering apparently excellent value for money, I came away from the whole experience disappointed. Jump forward to today, and we are mid-way through 2013. The new Proton Prevé has been on the market in Thailand for just a few months, and I finally found time to check it out. As I got behind the wheel of the new car I had similarly high hopes that the Prevé could deliver. Continue reading to see if the Prevé could "prove" to be better than the Persona. Submitted by peter on 12 June, 2013 - 09:08. 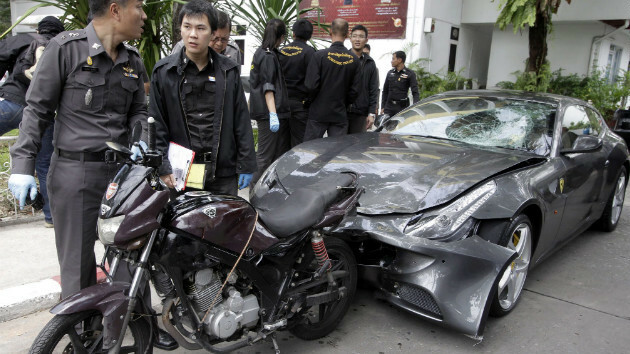 This image was uploaded with the post Not only in Thailand - Motorcycle Crashes into Illegally Parked Car. Submitted by peter on 11 June, 2013 - 09:47. Many guests in Thailand seem to be guilty of a common misconception. This is evidenced by the overuse of phrases like "Only In Thailand" as a meta-tag to life here, most usually to accompany tragic accidents, or the latest corruption case, or whatever it may be. Submitted by peter on 5 April, 2013 - 12:59. On 3rd September, 2012 a tragic accident happened on Sukhumvit Road. When the story broke, I remember feeling sick to my stomach as I read the gruesome details of what took place. But now I feel even more sickened by the recent turn of events. Submitted by peter on 19 March, 2013 - 15:57. Road accidents happen all the time in Thailand. And while it is very true to say that travelling on the roads here is dangerous, it is sometimes easy to forget that crazy "accidents" can happen anywhere that cars and bikes can be found. Here are a few examples from places outside Thailand, just to remind us that it isn't "only in Thailand". Submitted by peter on 14 January, 2013 - 19:36. Another rich and well connected Thai man has gotten himself involved in a road traffic 'accident'. And, naturally he has then attempted to use his status to avoid having to man up. Submitted by peter on 7 November, 2011 - 14:35. 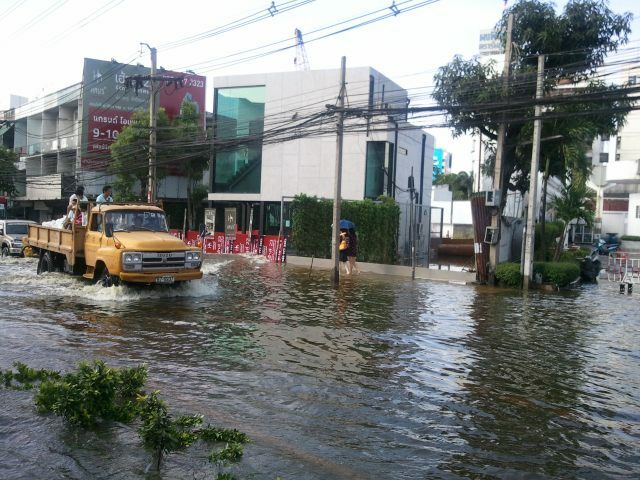 The flooding that has been making life difficult for millions in Thailand since July is now inundating Bangkok. We took a camera and here are some images from Ladprao road taken yesterday. Submitted by peter on 1 November, 2011 - 18:40. With the flood water moving in and affecting the lives of millions of people in Thailand and the region, and with climate change proponents predicting more of the same in the years ahead, it might be wise to have some plans in place to protect your transportation. Here are some practical ways to avoid flood damage to your car. Submitted by peter on 11 July, 2011 - 21:27. Charn Thaiphadungpong, 57, dropped his nephew off at Temrak Suksa School in Nonthaburi. Then he had some problem with his car, and as a result of this problem he lost control of the car in the school campus and ran the car into a group of 20 sixth-grade students, killing one and injuring 6 others, two of them seriously. Submitted by peter on 28 March, 2011 - 04:21. A video of a Thai language news report covering the aftermath of the horrific 'accident' is on youtube. During the report, there is some dialogue with the Thai Police Officer responsible for the case. He makes some telling statements, and in light of what we know now, it's clear that he was deliberately misleading. Submitted by peter on 27 March, 2011 - 22:02. I don't really know where to start with this story, but it must be told and told and shared and there must be justice. Let everyone know and don't let up. Let's start with the facts, and take it from there. A 17-year-old girl has been killed after she was hit by a Porsche Cayman. 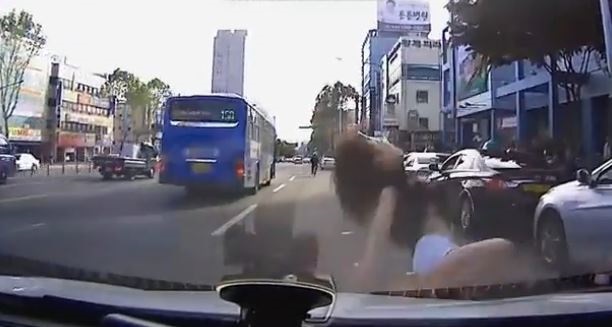 It gets worse: The driver must have been speeding, because the impact broke the young woman into two pieces. It gets worse: The driver the proceeded to flee the scene of the accident and continued for 10km before parking the car and abandoning it outside a restaurant. It gets worse: read on and prepare to get really angry! Story has been updated. See updates at the base of the article after the jump.